Being one of the first classes to be covered in Blizzard’s Legion class preview series really threw me off. Normally the devs like to drag their feet when it comes to dealing with Paladins, most likely because they fear the righteous indignation that will inevitably be foisted upon them. This time, however, they decided to bite the bullet and hit us with their ideas of how to change our specs going into the next expansion. Let’s take a look at what was said in regards to Retribution changes and prepare our opening salvo of criticisms to launch at them! Unlike our Holy and Protection comrades-in-arms, we are keeping the Holy Power mechanic. I have previously made my opinions on this system quite clear, so you can imagine the look on my face when I read that little section of the class preview. Despite my misgivings, I’m willing to see if they intend to do anything to change how we interact with our resource before completely condemning it. If the following ability changes are any indication it seems the devs want to throw a wrench in the works when it comes to Holy Power generation, and who doesn’t like wrenches? We were also treated to three new abilities: Blade of Justice, Conviction, and Lothar’s Might. Blade of Justice Much like Final Verdict, Blade of Justice is a damaging ability with a short range — an interesting idea given that most of our current and past abilities vacillated between melee range and 30 yards out. 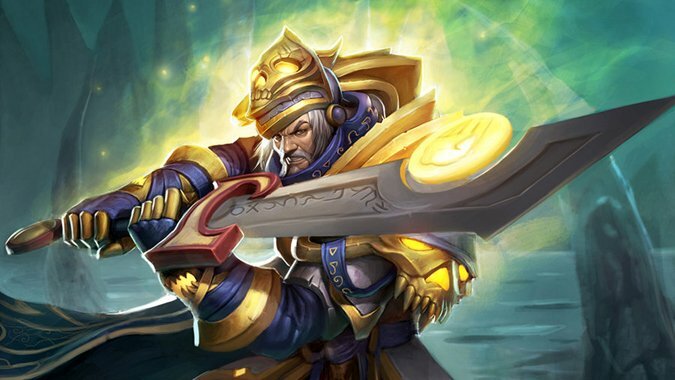 As a primarily PVE focused Paladin, however, what makes Blade of Justice truly intriguing is the fact that it grants two Holy Power as opposed to one. Suddenly we have some planning to do to ensure that we do not waste any of our golden points by using this ability at four Holy Power, though with Blade of Justice’s 12 second cooldown it’s not likely to be a hugely pressing issue. Conviction I feel the same way about Conviction as I do watching someone attempt to parallel park in a spot that is clearly too small for their vehicle. From across the street you can see the consternation on the driver’s face, the trigonometric calculations flashing behind their eyes as they check their mirrors repeatedly to see if perhaps one of the vehicles around them had moved. But their window is up, and a steady stream of cross-traffic prevents you from doing much else than witnessing this struggle until eventually the driver figures out what you knew all along — it just isn’t going to work. RNG is both the bane and boon of Retribution, and there are wildly different opinions on how it should be incorporated into our framework. I’m very much of the opinion that building a rotation upon RNG is a bit like constructing a house of cards in a wind tunnel; simply amazing if you can get it to work, but such a reward doesn’t justify the mountains of frustration and failure one would have to overcome to get there. Only if the likes of Empowered Divine Storm and Divine Purpose are either removed or weakened would there be room for Conviction. Lothar’s Might No, you aren’t dreaming, Rets are finally getting a gap closer. We have been the kings and queens of plated sluggishness for a long time, long enough that I believe I have developed Stockholm syndrome for Long Arm of the Law. The problem with Long Arm and Speed of Light is that they are nowhere near as effective as, say, Charge, Heroic Leap, Shadowstep, or Blink. With Lothar’s Might, however, all of that might change. Judging by how it’s worded, it would seem to use a reticle for targeting rather than a player or NPC, presumably working much like Tyrael’s ability El’Druin’s Might in Heroes of the Storm. This means that, in order to not only close the gap but also hit your target with the damage from Lothar’s Might, you will need to lead your target, then place and activate the ability in rapid succession. It’s better than nothing, at least! The only way I can see this being true is if they are talking about Retribution in PVP. Yes, Hammer of Wrath and Exorcism are two of our hardest hitting attacks at the moment, but in a PVE environment Mass Exorcism proved to be far too useful to unglyph most of the time. 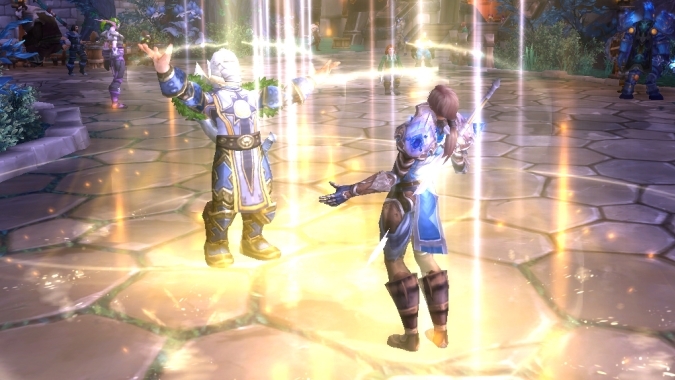 If anything, I assumed going into Legion that they would be making Mass Exorcism baseline, or perhaps turning it into a non-directional AOE ability, similar to the non-directional AOE abilities we had taken away from us in Mists: Holy Wrath and Consecration. I would much rather see them cut Exorcism down to melee range only than to unceremoniously scrap it altogether. The spell has history, even if for a good portion of that history it was a bit of an odd duck. 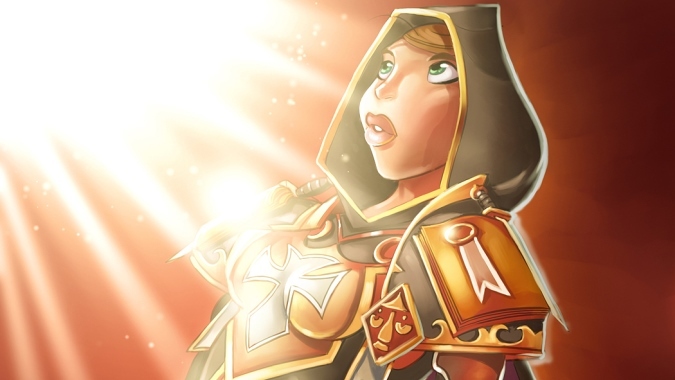 With the proposed removal of these abilities, it appears that our Holy Power generation will be taking quite the blow in Legion. They even uncoupled Judgment from our primary resource, instead giving it the ability to apply a Vendetta-like debuff to the target for six seconds. Decreased Holy Power generation only makes effects like Conviction hit us harder, resulting in huge swings in damage output that are completely out of our control. I doubt Retribution will even make it to beta with its holy hands tied in such a manner, but it’s something I will be keeping my eye on. @arthosan While they've been around forever, they haven't delivered on gameplay, so Seals will be a thing of the past. When Blizzard took our auras away, I was decidedly nonplussed, while my friend and colleague Matt Walsh was devastated. 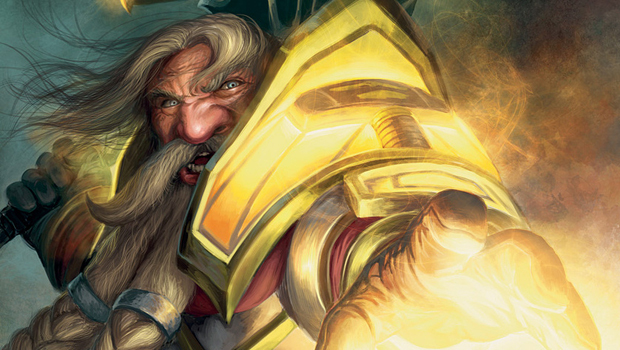 To him, auras were less an interesting game mechanic and more a symbol of what it meant to be a Paladin. As it turns out, that is exactly how I feel about seals. When I first played a Paladin all those years ago, casting and unleashing seals was central to the playstyle. I’d very much hesitate to say this was exciting or fun, but over time seals evolved from an ability you needed to monitor to something passive and dull. Seals have been with Paladins since the beginning, and to wrest them from our grasp with the Burning Legion not just on our doorstep but in our house, loitering on our couch and eating our snacks — no amount of shiny Ashbringers will make up for that. It is possible the devs considered their experiment with Empowered Seals a failure, but one bad talent should not be enough to condemn the entire system. I’m convinced there is a way to make seals “deliver on gameplay,” but that’s a topic for another day.